In recent years, the HASSLACHER Group has grown to one of the biggest timber industries in Europe. 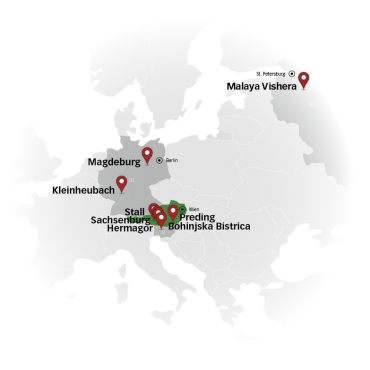 Since taking over Nordlam in Magdeburg last July, HASSLACHER is now amongst Europe’s biggest producers of glued laminated timber. 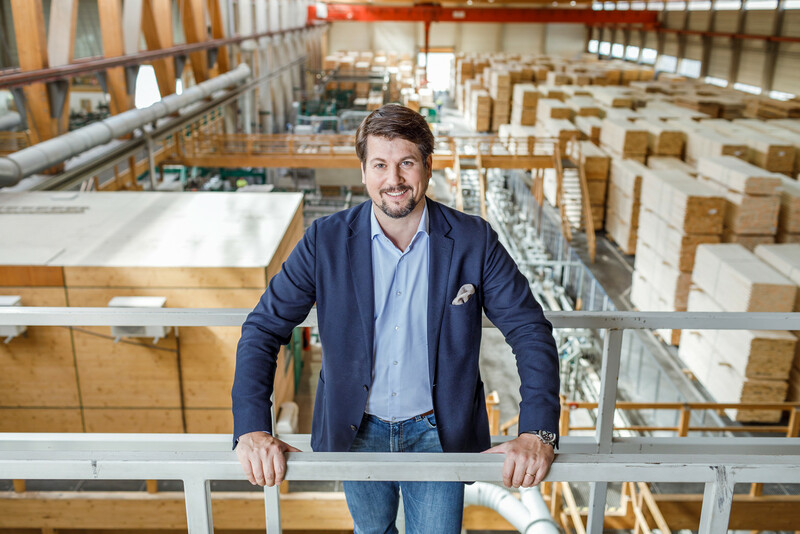 After finishing their investments of 30 million in January 2018 in the Carinthian production sites Sachsenburg, Hermagor and Stall im Mölltal, HASSLACHER NORICA TIMBER is now additionally investing 30 million in the expansion of the Preding site. With the planned investment volume, the sawmill in Preding will be modernised; the cutting capacity will be expanded to 600,000 cubic metres of round timber. The necessary drying capacity will be expanded through drying chambers from Wiesenau, which were purchased last year. As next step, the construction of a heating plant is planned, which will deliver 7 MW in additional energy. In 2019, the extension of the round timber, sawmill and another sawn timber sorting plant will follow. The investments of around 30 million Euro should be completed by beginning of 2020. The HASSLACHER PREDING timber industry operates a saw mill with a cut of about 250,000 cubic metres in Preding, produces 115,000 m³ structural finger jointed solid timber, 90,000 m³ surfaced timber, 70.000 t pellets as well as more than 1,3 million pieces of special pallets and packaging solutions. With this, the company secures about 220 jobs on site and indirectly creates additional value added for regional suppliers. In the previous two years, more than 7 million Euro has been invested in the modernising and expansion of the plant and in the infrastructure, and 40 new jobs were created. One of the core elements is the new post-processing plant, which offers finished joined building timber sets for e.g. roof structures, timber construction elements or carports to timber construction companies. From the Preding site, the processed products are delivered not only to the region and European countries, but also as far as Japan and Korea. In addition, the timber industry enterprise is also the ideal partner of the domestic industry for the production of custom-made special pallets, packaging solutions and heavy load packaging. 2016, the HASSLACHER PREDING timber industry received the award “klimaaktiv – Kompetenz im Klimaschutz” from the Republic of Austria for its sustainable investment measures. More than 30 years of efforts in the region were awarded with the Styrian national coat of arms. The HASSLACHER Group takes over 100% of shares of LIP BOHINJ D.O.O.